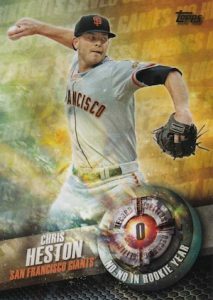 2016 Topps Series 2 Baseball provides a second look at the flagship release with several new additions. Hobby boxes include one hit while Jumbo boxes offer two relics and one autograph. Featuring a new batch of base cards, the 350-card set includes veterans and rookies as well as subsets like Future Stars and team cards. Parallels include Rainbow Foil (1:10 packs), Gold (#/2016), Vintage Stock (#/99), Black (#/65 - Hobby/Jumbo), Pink (#/50), Clear Parallels (#/10 - Hobby) and Platinum (1/1). 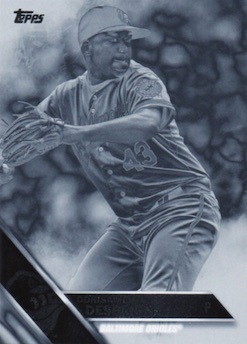 Exclusive to Hobby and Jumbo boxes, one-of-one Printing Plates and Framed parallels offer additional limited options. 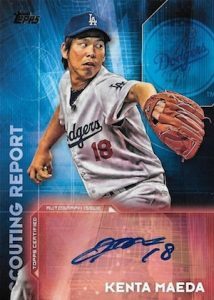 Among the main hits in 2016 Topps Series 2 Baseball, Scouting Report Autographs and Relics provide an inside look at what the scouts are saying about specific players. Other choices include Own the Name Relics (1/1) and Glove Leather Autographs (#/25) that are both exclusive to Hobby and Jumbo boxes. There are also one-of-one Cut Signatures. 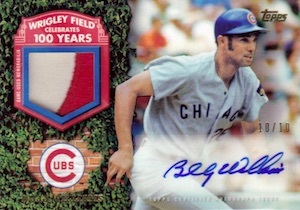 Berger's Best (1:4 packs) picks up from Series 1 with 65 more cards. There are also Relics (#/99), Autographs (#/25), Autographed Relics (#/10 - Hobby/Jumbo) and Cut Signatures (1/1) within the insert. 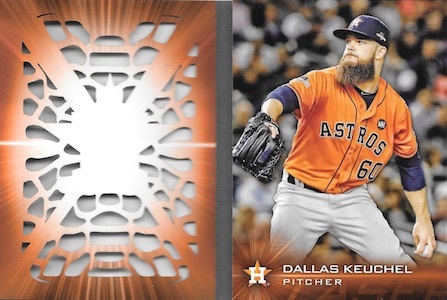 Topps Laser die-cut booklets (#/99) also return from Series 1 as a Hobby and Jumbo exclusive with Relics (#/99), Autographs (#/25) and Autographed Relics (#/10). Covering 15 notable achievements, Hallowed Highlights (1:8 packs) come as both a base insert and as Relics (#/25), Autographs (#/10) and Autographed Relics (#/5 - Hobby/Jumbo). 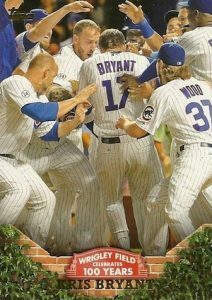 Celebrating the home stadium for the Chicago Cubs, 100 Years at Wrigley Field carries on from Series 1 with 1:8 pack odds. 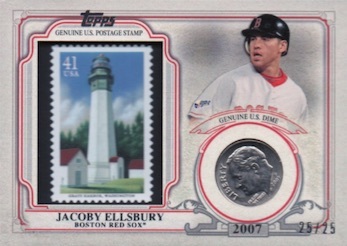 There are also Relics (#/99), Autographs (#/25) and Autographed Relics (#/10 - Hobby/Jumbo). 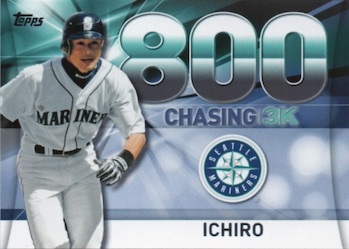 Honoring Ichiro's historic run to 3,000 hits, Chasing 3K is featured in several forms. The 30-card insert set averages 1:9 packs and is joined by Relics (#/10), Autographs (1/1) and Ichiro Foil Stamped Original Buybacks. 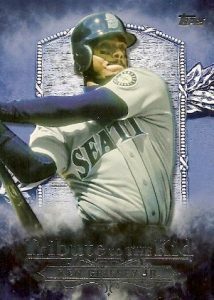 Also getting in on the action in 2016 Topps Series 2 Baseball, Ken Griffey Jr. is the focus of Tribute to the Kid. Featuring a similar format to the Ichiro set, the 30-card insert (1:8 packs) includes Relics (#/50), Autographs (1/1), Autographed Patches (1/1 - Hobby/Jumbo) and Tribute to the Kid Foil Stamped Original Buybacks. 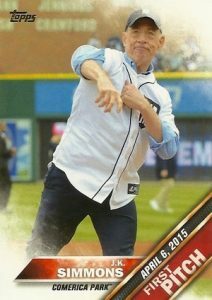 Already a fan favorite, First Pitch (1:8 packs) adds more celebrity names to throw an opening pitch in 2016. Featuring a variety of choices, manufactured relics average one per Jumbo box or one per Hobby case. 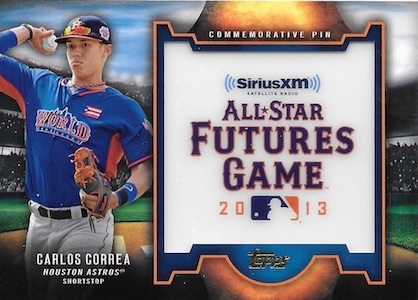 Team Logo Pins pair 35 players with their team logos while SiriusXM All-Star Futures Game Pin offers a replica logo for the 2015 game for 15 subjects. World Series Champion Coin and Stamp combines official currency and postage from the year that 25 players won the title. Options include Quarter (#'d), Dime (#'d), Nickel (#'d) and Penny (#'d). There is also an autographed version (#/25) for the Team Logo Pins, All-Stars Futures Game Pin and World Series Quarter and Stamp. Playing off the Rip cards from Allen & Ginter, the Double Play inserts are an interactive insert that features a statistical prediction on the inner card. If the player achieves the listed goal, collectors can win a prize. Closing out 2016 Topps Series 2 Baseball, Bunt Code and Bunt Player (#/25) cards can also be found that work with the popular Bunt app. 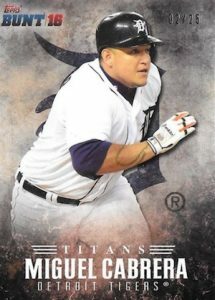 Topps Online offers larger choices for many of the base and inserts with exclusive Series 2 wall art and oversized sets. UPDATE: An unannounced Reverse Logo parallel is just as it sounds and moves the Topps brand logo to the opposite side of the card. Odds were not included on hobby packs. They could also be just a printing error. While they are not very plentiful on the secondary market, they are very easy to miss. 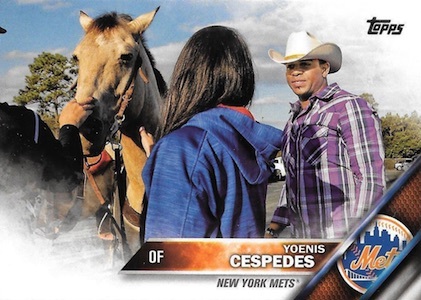 We have reached out to Topps for further information. 350 cards. Shop for complete base sets on eBay. PARALLEL CARDS: Rainbow Foil - 1:10 packs, Reverse Topps Logo, Gold #/2016, Factory Set Foil #/177, Negative, Vintage Stock #/99, Black #/65 (Hobby/Jumbo), Pink #/50, Clear #/10 (Hobby), Platinum 1/1, Framed 1/1 (Hobby/Jumbo), Printing Plates 1/1 (Hobby/Jumbo). 50 cards. View a detailed guide and gallery. 10 cards. Serial Numbered #/10. Hobby/Jumbo only. 25 cards. Serial numbered #/25. Hobby/Jumbo only. 5 cards. Serial Numbered #/5. Hobby/Jumbo only. PARALLEL CARDS: Silver, Gold, Medallion. 20 cards. Serial Numbered #/99. Retail only. 9 cards. Serial Numbered #/5. Retail only. 71 subjects. Serial Numbered 1/1. Hobby/Jumbo only. 9 cards. Serial Numbered #/25. Hobby/Jumbo only. 9 cards. Serial Numbered #/10. Hobby/Jumbo only. 15 cards. Serial Numbered #/99. Hobby/Jumbo. TIERS: Quarter with Stamp #/25, Dime with Stamp #/25, Nickel with Stamp #/25, Penny with Stamp #/25. 1,000 cards. Each card is believed to be 1/1. 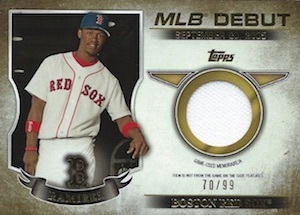 Good: Great insert variety, Double Play Rip cards are interesting, good retail options. Bad: Weaker checklist, elements removed from Series 1, mostly nothing new to set it apart. 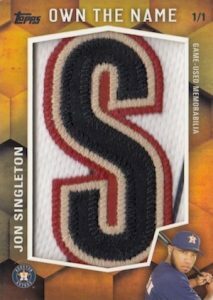 The Bottom Line: As the follow-up to the first flagship release of the year, 2016 Topps Series 2 Baseball is, of course, going to have a lot of the same aspects and it is unfair to penalize it for that. However, several things were removed and very little surfaced to take its place. Combined with a weak rookie checklist and main autograph set, and variations that did not turn out well, this might be one of the more disappointing S2 releases in years. As far as the base design goes, Series 2 is very similar to Series 1, which is not a surprise. 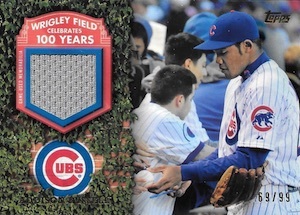 Likewise, several inserts carry over so there is a definite overlap, including First Pitch and the Wrigley insert. 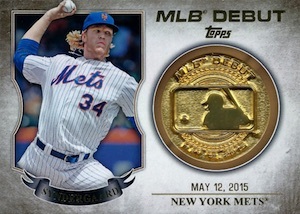 Normally, Topps rolls in several new options to give the release some freshness. This is the case here with tributes for Ichiro and Griffey, among others. 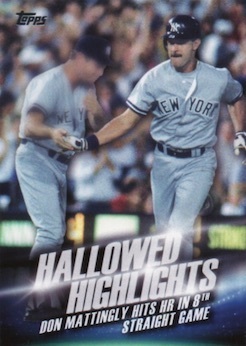 While the Tribute to the Kid cards do feature a quality look, I find the Chasing 3K to be a little bland while Hallowed Highlights suffers from a dominating text. Outside of that, the rest of the additions are mostly all retail exclusives. Series 2 does fall in a unfavorable release period for the base set. The key rookies and pre-season changes should have made it into Series 1 and the big breakouts and mid-season trades or call-ups will not come until Update. However, it just seems like S2 is a much weaker release for top rookies and that hurts the set. It seems even more the case given that S1 was so strong. This is further compounded by a crop of main signers that are nearly all young prospects and rookies instead of a better mix of players from past, present, and future like Series 1. Another issue with the S2 checklist is what was removed. Framed cards were a popular paralell but that took a downturn when they were made into 1/1 cards. Also, buybacks are not universally loved, but they did add something and those also were removed. I’m all for mixing things up and shuffling the deck, but you can’t remove things and not appear to have added something else in that spot. The only thing that is really new other than a few basic inserts are the Double Play Rip cards. 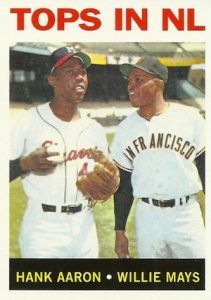 While the concept is not new for Topps, it is still hard to act like this fills that gap, especially since all are one-of-one cards. 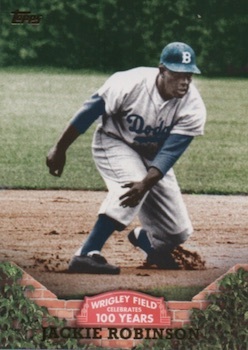 While I applaud the move by Topps to get away from the glut of uninspired variations (sparkles immediately come to mind), and I appreciate the new concept of honoring Jackie Robinson Day with special uniform image swaps, the end result was just not that strong. Images were awkward and the player selection was not ideal. There needs to be an evolution to the variation game or at least an attempt to rein it in. While I would rather not have them at all unless they can start being more creative, this recent batch was at least tolerable and I would be okay with the format of one SP themed set and one standard SSP variation in flagship. 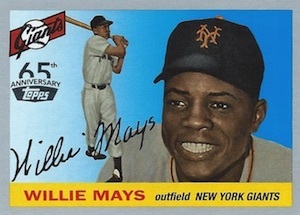 Most collectors know what flagship Topps is and expectations are in line. Because of the overall checklist, which is just not up to par, and a decrease in content, the value dips. Although Series 2 is never really about big hits, when you start removing the little things, the value has nowhere to go but down. 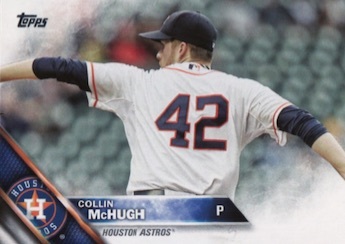 Even with the negatives, Series 2 is built around fun and that is why it is part of a collecting legacy in flagship baseball. No matter what, you will end up with a ton of cards, many inserts, and a hit. Still, collectors want to be wowed and this is especially needed in Series 2 given the newness has already worn off after Series 1. For me, the lack of creativity/surprises in Series 2 was what kept the set from being more fun. If you go into things knowing that the collecting value greatly outweighs the monetary value, the fun factor better deliver. Framed cards are only 1/1�are you freaking serious? That is really disappointing. I spend a lot of money building framed team sets, just as much of a loss for the breakers as it is for me. That is a lot of lost money, framed cards sell like hot cakes early in the release. smh. I had five great pulls in series 1, so I think series 2 should be just as great. I rate it under due to the fact there is many people out here who cant afford $60.00 hobby boxes. Many are stuck going to Wal-Mart’s and getting blasters which takes forever to build sets. 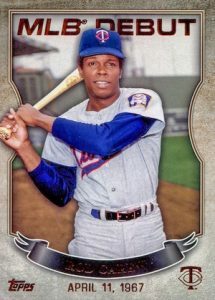 All the SP, #, and special inserts should be included in the blasters to give “poor” people a chance to get those special cards. Again this hobby is for the rich, not poor people on 1 income. 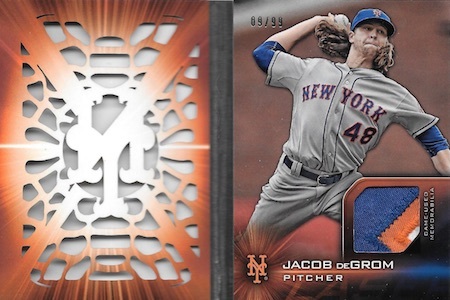 All card companies need to lower prices alot….not just Topps. The blaster boxes are not cheap either…and never have pulled anything good. This hobby needs to change so all people can get the special cards……not just the elite few. two guys that aren’t even on the team anymore, two AAA guys (one atleast came up for a little bit and has been apart of the team past 3-4 years, so happy TJ mac is getting a card) and two back up players… They have a new starter, 2 dominant guys in the pen who have yet to even get a card, 3 new position players who all start one of which leads the MLB in HRs. I know they make the checklist early, but come on. Just disappointed. Hope to see a lot of the Os new faces and studs (Kim, Rickard, Brach, Givens, Trumbo, Wilson) in update. Was the checklist for the First Pitch set released? Greg A � It’s up there now. 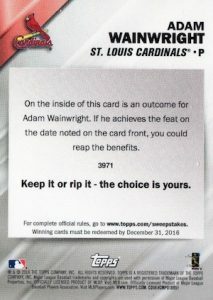 Surprised to see all the complaints on the base Topps offering. It’s been a standard price over the past couple years and always delivers about the same. It is priced suitably, so if it is over your budget or you don’t like the variety of players, boycott it. There are plenty of sets out of my price range, which I don’t buy. There are other sets out which are more suitably priced, so go after them if you can’t afford the base series. I agree with TMJ, I am also a huge Orioles fan and this checklist is very very disappointing. I really hope Gives, Brach, and Kim get cards in update. They have been studs this year. I also don’t understand why Mark Trumbo isn’t in this set. The Orioles traded for him long before they signed Pedro Alvarez but Alvarez is in the set. Trumbo is in Series 1 with the Mariners, You won’t see his O’s card til update. Okay, this product looks good, but one major complaint: Aldemys Diaz, he is absolutely tearing it up right now as a rookie for the Cardinals, and still not a single card made of him. Besides that looks good. I’ve gotta say – I’m stoked about this release. Cards with coins/stamps and own the name cards … are you kidding me? YES PLEASE! SP Chase Anderson, 1B Chris Carter (leads the Brewers in HRs), OF Ram�n Flores and OF Kirk Nieuwenhuis have NO cards in series one or two! Aaron Hill is listed for Arizona in series one. Adam Lind and Francisco Rodriguez were on the Brewers in series one but other teams in MLB. 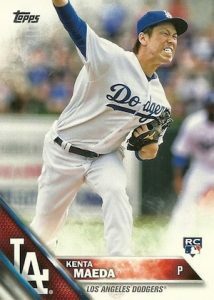 Kyle Lohse got a card in series one but he was a free agent. 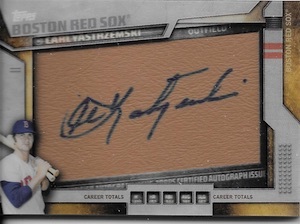 Is the checklist for the Glove Leather Autographs missing. I’ve gone through many times and haven’t seen it. Eric Jennings � It’s there now. 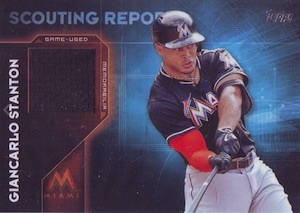 I tend to like the Topps base set quite a bit, but I am usually disappointed with how difficult it is to build a set. I’ve probably spent well over a $100 and I am still missing a dozen or so cards from Series 1. Still, I will be buying a box or 2 of Series 2. BTW, this is the 2016 set, your article repeats 2015 many times. Love this site, though.. Guess I have to go against the grain again, but I actually debated between 1 and 2 stars for Series 2. Besides the bad design (gimmicky, imho), the inserts are tired and uninspired. Another reason to add reprints of old cards? The same reprints? 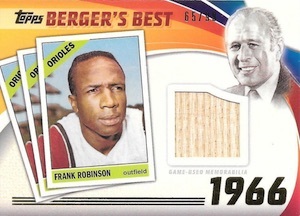 Berger’s Best illustrates just how bad the inserts are: been there, done that. 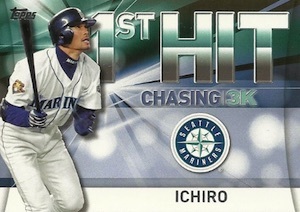 The Griffey and Ichiro inserts are limited in scope–and audience, but they’re in every jumbo pack, so we should be able to collect tns of them. Add a couple of shiny foil cards, someone throwing out the first pitch (that’s a new one…oh, wait), and maybe something else that left no impression on me, and you have the inserts of Series 2. 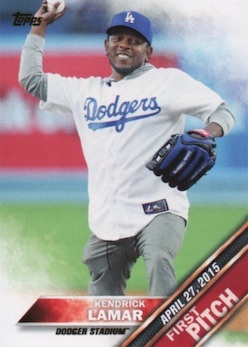 Overall, I think this is a poor release, one which shows little effort on Topps’ part–which seems to be a growing trend. 100 Years of Wrigley and no Rick Sutcliffe in Series 1 or 2? Wow. He only won the Cy Young Award in 1984 and led the Cubs to the division title. Oh, and led the league in wins in 1987. Oh, and pitched the first ever night game at Wrigley. The guy is a lifetime Cub! 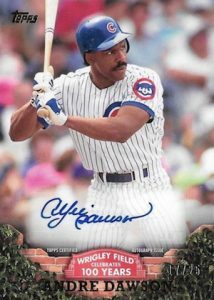 Topps misses mark on this part of Cubs History! 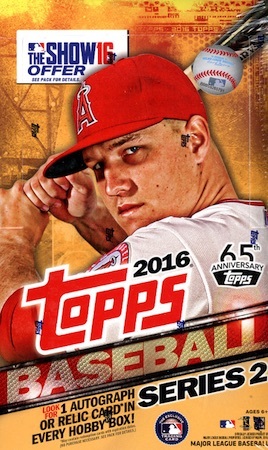 Topps 2016 series 2 box was a real disappointment. I paid $80.00 for a few boring inserts and 1 game used jersey card of a no name player. Won’t get fooled again. Three hobby boxes yielded nothing really interesting. 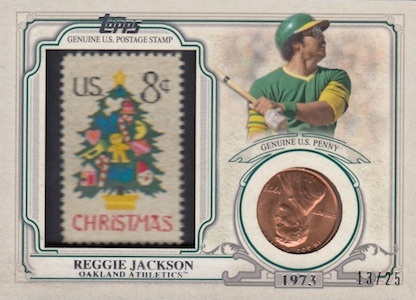 Relics are a joke – worth less than a 2016 count gold parallel. Very disappointing. Paid the extra for the jumbo to get the auto, relic, and mfg relic. Hits were ok. Also, the jumbo box got me all but 2 cards for my set. Not bad. Anybody rip any of the Double Play cards for October. 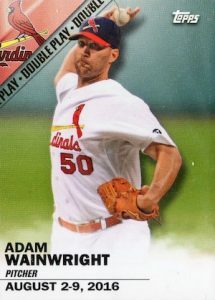 I think early July cards are all All-Star related, and was wondering if there was a pattern for another common date – I think it is October 2. I was thinking these could possiblly be season leaders or season awards, but don’t know – just guessing. I think jumbo should be 2 autos and a relic. Only because of how large the entire set is. Due to that fact, it is super difficult to pull a monster to fill the set unless you buy cases and cases. I bought 2 cases of JUMBO and pulled a xm pin altuve auto, a griffey relic /50 and a stamp coin /25. Seeing how all of the stamp coin cards are /25, not sure what the big hit was out of 2 cases (12 boxes) gotta give me something a little better than an altuve /25 and a ellsbury coin /25. It was a fun rip but aside from the 2 hits /25, not a single card /50 or less. Kind of expensive for a product that yields such low return. I bought 2 jumbo boxes from one of your sponsors, and I was lucky enough to pull a Daniel Norris framed 1 of 1, plus an A-Rod pink parallel. I bought 2 boxes because I wanted to complete the set, which I did. I sorted both boxes separately, and neither contained a complete set. That’s why I gave it 4, not 5. Jumbo boxes are supposed to have the whole set! I’m glad the update set is only 300 cards. One jumbo box should be enough to complete that set! I ripped my Double Play card for October 2. It is based on a season stat total. Mine was Chris Sale having 15 or more wins on the Season. Prize was Authentic MLB Jersey – Pretty sweet. No Frankie Lindor in Series 1 or 2. He was 2nd for ROY last year, so he didn’t surprise anyone. 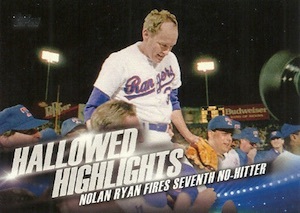 Biggest omission in sports card history? Tribe Town– you may have figured this out but Lindor is card 439 and is a Future Star. 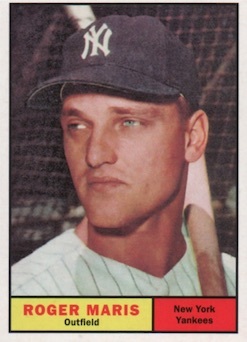 Not the biggest omission in sports cards history. Picked up a hand collated set at a local card show for $15. That’s pretty much what I’m willing to spend on a series of Flagship these days. Horrible design and lousy bloated inserts. 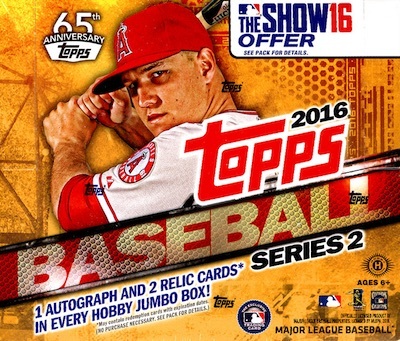 2016 Topps Series 2 Baseball Hobby Box - Factory Sealed!